Embark on an experiential journey at Adrift by David Myers, as the award-winning restaurant unveils The Chef’s Table Series, featuring masterclasses and wine dinners that showcase the best seasonal produce from around the world. The series inaugurated with an 8-course dinner on 12 July, where executive chef Wayne Brown showcased a bountiful harvest of fresh Japanese Summer produce such as the prized Hanasaki Queen Crab, Isaki fish, and summer peaches. Come 23 August, Adrift will be hosting its first wine dinner of the series, which pays homage to chef David’s hometown California. Diners can journey through different Californian vineyards and enjoy a sumptuous eight-course dinner tasting menu (S$125++) alongside a course-by-course wine-pairing (S$73++). Whet your appetite with an assortment of new plates, such as the Crab blini, Salted Wagyu, Oyster & melon, and Sea urchin toast, before savouring the delicate Japanese Blue mackerel with smoked butter milk nasturtium grilled over apple wood. Enjoy this dish with a glass of full-bodied 2013 Chateau Montelena from Napa Valley, which features accents of sweet oak flavours that elevate the dish. 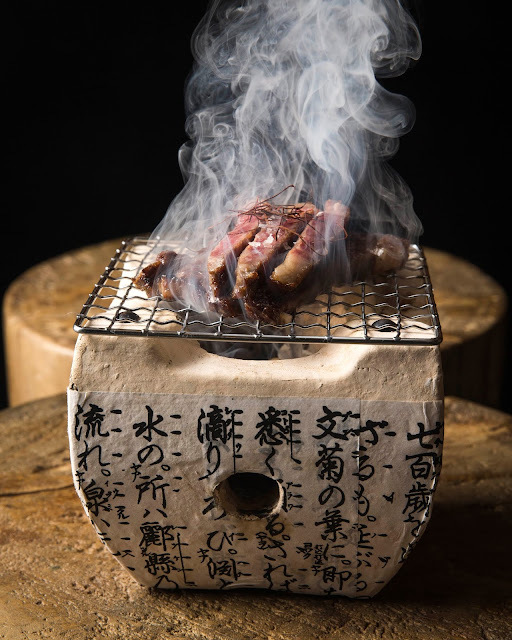 Another highlight of the dinner is the Quail breast in koji with shiitake and king oyster mushroom – tender Tasmanian quail is marinated in home-made koji (fermented sake rice) for 24 hours before being grilled over live fire. This results in a caramelized koji, which gives a natural grain sweetness. Served with crispy shiitake mushrooms, pickled king oyster mushrooms and a red fruit sauce, the dish excites the palate with its contrasting textures. Pair the dish with 2014 Flowers Pinot Noir from Sonoma County – the aroma of wild berries and herbs marries the flavours of the dish seamlessly. Come October, culinary enthusiasts can look forward to a ‘Wagyu & Whisky’ class, followed by an 8-course dinner featuring Japanese Wagyu and Australian dry-aged steaks. 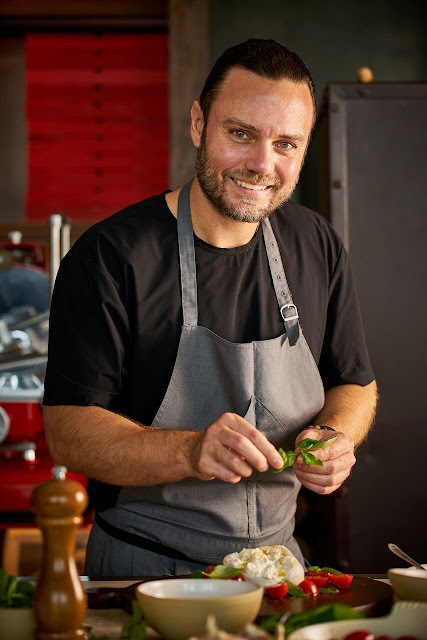 In November, Adrift will celebrate the rich produce of South Australia, hometown of executive chef Wayne Brown. Titled ‘Tasting the Vale’, diners can journey through the McLaren Vale, Adelaide hills, and Barossa Valley over a special 8-course spring menu wine dinner. The restaurant will also hold a Hokkaido Winter wine dinner in December. From 5.30pm to 7pm daily, enjoy an early dinner at Adrift and opt for the Shared Chef’s Table menu (S$68++ per pax), which presents nine sharing plates over four courses. 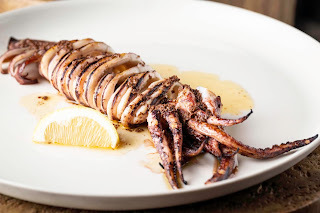 Taste the signature Japanese flying squid with white soy and brown butter sauce, featuring fresh Japanese Squid from Nagasaki, grilled over open orange wood fire and served with a dressing of squid liver brown butter sauce. Refresh your palate with a light Tomato salad with burrata cheese and smoked chili oil. In this dish, juicy tomatoes are thinly sliced and served with a drizzle of fragrant chili oil, crisp quinoa and myoga shavings. Guests can also opt for an additional two-course drinks pairing for S$32++. Adrift has recently refreshed its menu with more than 20 new creations, ranging from exquisite bites to savoury mains and luscious meats fresh off the grills. 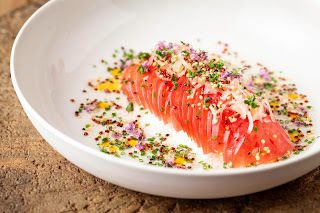 Guests can expect Adrift’s signature Californian-style dishes made using premium Australian and Japanese produce, with a big focus on wood-fired cooking. The restaurant sources for apple wood from USA and orange wood from Australia for its open fire grills, and only uses binchotan (white charcoal) from Japan to accentuate the natural flavours of the ingredients. 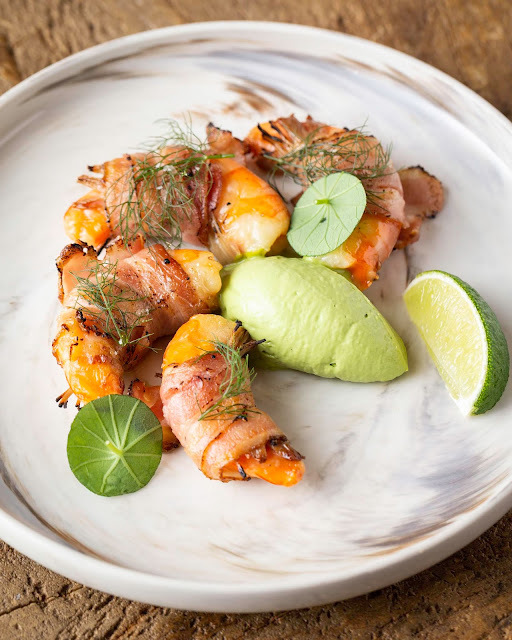 Indulge in the Spencer gulf prawns with watercress and pancetta, featuring succulent South Australian prawns wrapped in pancetta ham and enoki mushrooms, then grilled over binchotan and served with a watercress aioli dip. 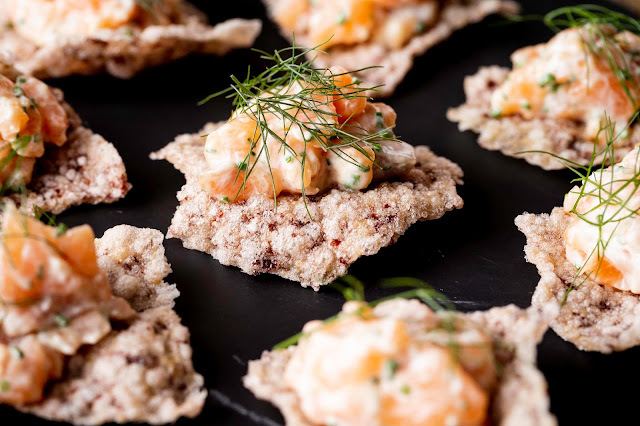 The new menu also features delightful snacks such as the King crab slaw with fish crisps and jalapeno – an assembly of poached Alaskan king crab leg, mustard, jalapeno, citrus slaw and grated cured egg yolk which sets atop a smoked fish skin crisp, perfect for pairing with a tipple. 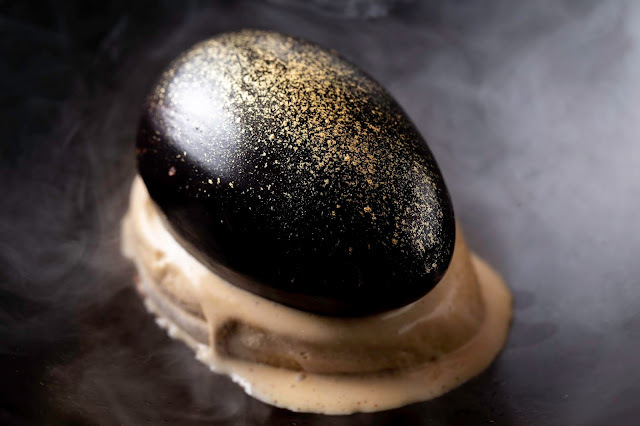 Also new on the menu is a medley of innovative desserts, such as the Dragon Egg with chocolate mousse, yuzu curd and soy caramel ice cream. A reinvention of salted caramel desserts, the multi-layered creation is meticulously crafted over three days, before it is dosed in -198°C liquid nitrogen for a multi-sensorial treat. Served atop a scoop of soy caramel ice cream, the dark chocolate shell cracks open to unveil a rich chocolate mousse and a yuzu centre. For those who prefer a lighter dessert – opt for the refreshing Wood Fired Plums with sour cream, lime jelly and red shiso ice. 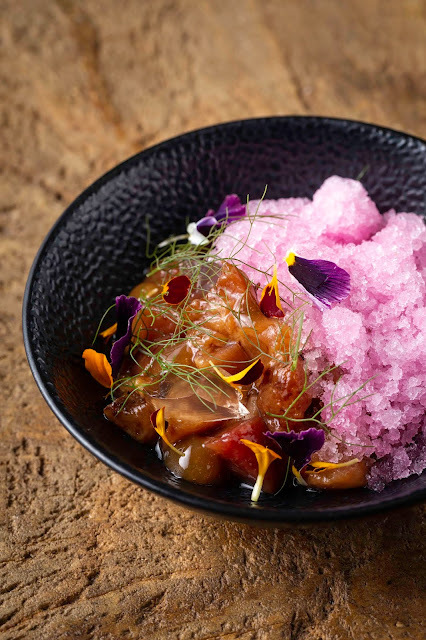 Woodfire-roasted plums are marinated in ume boshi vinegar and served alongside lime jelly, house made crème fraiche and a bed of pink granita made from red shiso leaves for a cooling treat.